Even if you’re deep into the world of the iPhone, it’s impossible not to marvel at some of the things competing companies get up to. 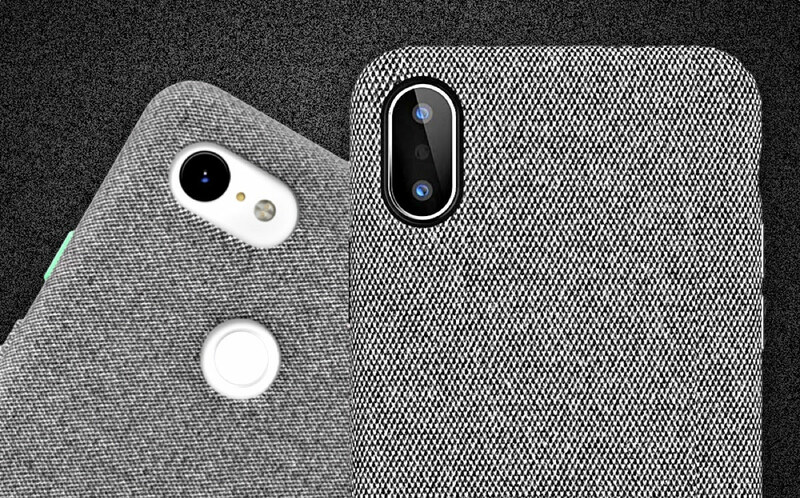 One of those things is the Google Pixel Fabric Case, a case literally made of fabric and perhaps the best looking thing we’ve ever seen used to protect a phone. As iPhone owners we’ve lusted after these cases for a while, and now it’s possible to get them for Apple’s phones. Or, at least, something like them. 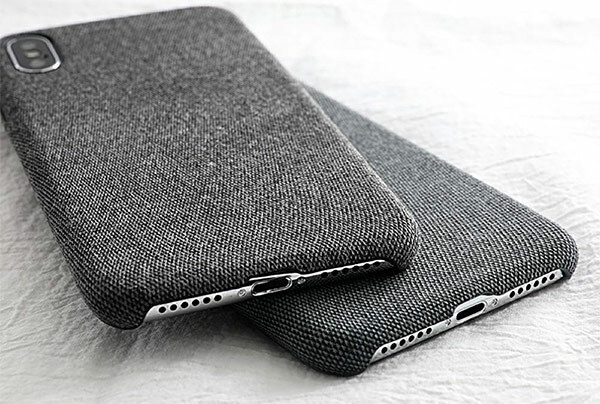 The case we’re talking about comes in a gray-ish fabric that looks stunning, or a pink or black version for those who want something a little different. It’s soft but also offers additional protection and more importantly grip for those of us who find iPhones all-too eager to slip out of our hands. There’s a cutout at the bottom of the case for the speakers and Lightning port, and there’s one around the back for the camera module, but beyond that your iPhone is safe and sound. If you’re one of those people who likes to leave your iPhone face-down on a table, you’ll also appreciate the fact this case has a lip that will protect your display, too. All this sounds great, and things get even better when you realize that the case is available for the iPhone 6 and newer devices, meaning just about anyone with an iPhone can pick one of these things up. We’d suggest doing exactly that, especially if you’ve quietly lusted over Google’s version. The best part is that since it’s holiday season time, the case can be had for just $12.95 from here when buying three of these for any model and in any color using promo code PXLFIBFCM21FREE at check out. Also as part of holiday season deal, you can get 1 for $19.95 down from $29.95 regular price using promo code PXLFBIPH19 at check out. It’s huge bargain when you compare Google sells each for nearly $50 for its Pixel phones. The holiday season deals mentioned above are valid up to end of day on December 31, or till stocks last.